Summer time means grilling season. 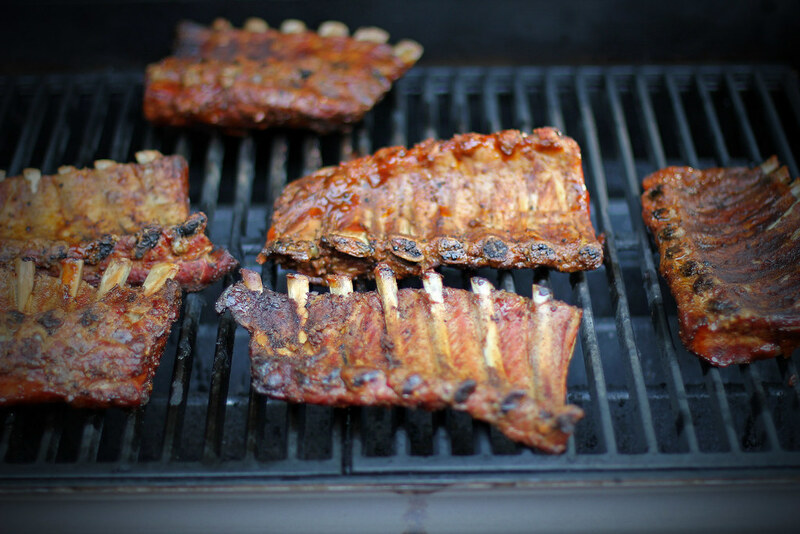 It’s always a great feeling to spend the night before a big grill-out prepping ribs. Aside from pulled pork, Ribs are by far my favorite part of the pig. The debatable secret to great Southern ribs is the fairy dust known as dry rub. Next to home made BBQ sauce, it’s a BBQ chefs personal secret. Well it’s time to let my most recent discovery out, and share my “Dry Rub” secret. I’ve taken my cajun seasoning obsession to the extreme, and spiced up my baby back ribs. Directions: After removing the silver skin from the ribs, cover the front and back in the plain yellow mustard. Then mix the rest of the ingredients together thoroughly, and cover each slab of ribs liberally. Once the ribs are covered in spice mixture, work the ribs to ensure that the rub is spread evenly and worked into the top of the pork. Let them rest over night in the fridge. Then follow your typical smoking routine for ribs, mine is to smoke with hickory at 250 degrees for 2.5 hours and then wrap the ribs in aluminum foil for another and cook 2 to 3 hours in the oven at 250 degrees. I finish the ribs by applying homemade bourbon BBQ sauce, and putting them on the grill to build a thin crust. The question you’re asking yourself, was the same question I was asking myself when I made this leap. How did the ribs turn out? Over spicy? Over salty? Not sweet enough? It’s not fair for me to declare this a unanimous win, because it deviates from what you would consider to be classic BBQ flavors, but in this devation I discovered a new style of Southern fusion. The combo of the “Tony’s” and brown sugar creates this suprising sweet and spicy zipp. Combined with the sweet bourbon based BBQ sauce, the ribs suddenly tasted like I had found my signature combo, my own recognizable flavor creation. This signature flavor profile is best described like balancing a bowl of bourbon bred pudding mixed with spicy andouille sausage. A flavor profile that I will continue to refine, until I’ve convinced even my skeptical wife. Do you have a signature flavor, or have you stumbled upon a peculiar flavor combo that worked out? 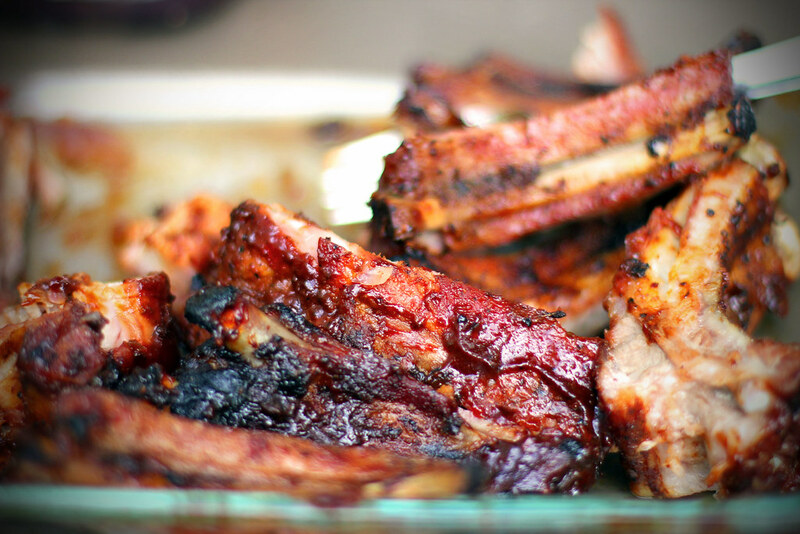 Do you have a secret spice rub? What’s your key to BBQ success? Whats your Southern secret? Stay Hungry Y’all! I was wondering what had my lips on fire when eatin those ribs the other day. It was really good, but not overpowering. I kept tasting the sauce trying to figure it out. Guess it wasn’t in the sauce. I do agree, the jury’s still out. I need more ribs to make an informed decision. 2-3 racks should do the trick. Well next time I suggest you stay in town, and act like the partner in crime that you are! What else can we throw in the smoker? Those ribs look amazing! I need to put ribs on our 4th of July cookout menu. We haven’t done ribs in years. Yours look great! We can almost taste the flavors coming together! And the ribs look great! Thanks for being a wonderful fan of Tony’s! That’s really great to hear. I’ve been using it for a while and have made some really great spicy pulled pork with it as well. Glad to hear you’ve had some success with it as well.